Welcome back to our talk on things you can do to find the right family law attorney for you in Detroit. Click below if you missed part one. 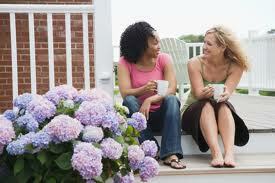 Let’s say you have a friend or family member who’s been through a divorce in the past here in the Detroit area. Why not ask them if they recommend someone? Who knows, maybe they had a good experience with the attorney they hired. If that’s the case, why not start your search by talking with the attorney they recommend? Just be careful not to hire them solely based on the fact that someone you know recommended them. You still want to make sure they meet your specific needs. Yes, you want to be comfortable enough around the attorney you pick to be able to talk about personal things. But don’t go too far, and start seeking them for psychological and religious guidance. For one, it’s not their job to provide those services. Not to mention that every second you take up of the lawyer’s day, you are probably going to be getting charged. But I felt like it didn’t hurt to bring it up anyways. Besides, in this country, we tend to think that paying for a high-priced attorney is a sure way to win in our legal system, which isn’t always the case. Anyways, living in this huge metropolitan area of Detroit, you should be able to find someone that meets your criteria and your budget. Now I know I said that you don’t want to blow your budget on attorney fees, but don’t take that philosophy too far. Family law attorneys with the most experience tend to cost more than the ones with little-to-no experience. So let’s say you can’t afford the expensive attorneys here in the Detroit area. Look at it this way; if they’re young and unskilled, they may be hungry and determined to make sure you come out of this divorce favorably, to build their resume and reputation. 13. Do They Have Trial Experience? If there’s a chance that your divorce might end up in a courtroom, you might want to find out if your prospective attorney has courtroom experience. Shoot, you might want to go a little further and inquire about just how successful they’ve been (or haven’t been) in the courtroom. 14. Do You See Eye-to-Eye? So let’s say you want to keep things “nice” with your soon-to-be-ex, and you don’t want things to get “nasty”. 15. How Familiar Are they With the Local Family Law Judges? 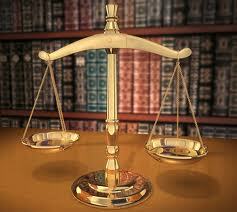 Ask the attorneys you interview how familiar they are with the local family law judges. Why? Because it’s in your best interest that your attorney is familiar with the styles of the judges that might end up presiding over your case. 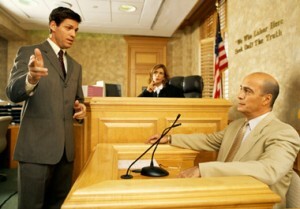 You want your attorney to be able to strategize according to the style of the judge. This, of course, improves your chances of having a desirable outcome. …That is, if you want to get the most out of your interviews with them. You might want to go into the consultations with a list of questions to ask them. That way, you’ll make sure you’re asking all of the prospects the same questions. This is important, because it’ll allow you to compare apples-to-apples when you’re reviewing your notes and making your decision later on. The more you put into the interviews, the more you are going to get out of them. And the more you get out of the interviews, the more likely you are to choose the right attorney for you. In your interview/consultation, you’re not going to be the only one asking questions. The attorney is going to be asking you some questions as well. Why you are seeking a divorce? Are you sure you want to end the marriage, or are you seeking an attorney to try to scare your spouse into staying? Was there any abuse in the marriage? What’s the physical and mental health of you and your spouse? Is there a prenuptual agreement in-place? How much money do you have in the bank? How much does your spouse have? Do you have a mortgage? If so, how much is still owed to the lender? What are you looking to accomplish through the divorce? If you’ve been through a divorce before (or if you’re an attorney), what would you add to this list? Leave a comment below. Interested in Selling Your House? Click here for a free cash offer on your house with no obligation. Or, just give us a call, at 313.454.1190.